Hello everyone! Today I am combining three prompts into one. I was hoping to get four out of it, but realized that it was going to be a little tricky to cover "Untrieds" in with "only polishes over a year old". Once my brain accepted defeat on that one, I settled on my older polishes for the "Ruffle" prompt, you have to use a dotting tool to create the design, and as its a new technique, it covers the NAILS Mag prompt for Saturday too! I started with a white base to help the colours hold, and then dotted on lines of (from base to free edge) Rimmel Sunshine, Barry M Gelly Satsuma, LA Colors Absolute, Jessica Purple Burst, LA Colors Edgy, Barry M Gelly Blackberry, Blue Grape, Guava, Greenberry and Key Lime. Finished with Seche Vite. I can't say that this is my favourite look, but I flung in as many colours as I possibly could, so its bright and "in your face" if nothing else! 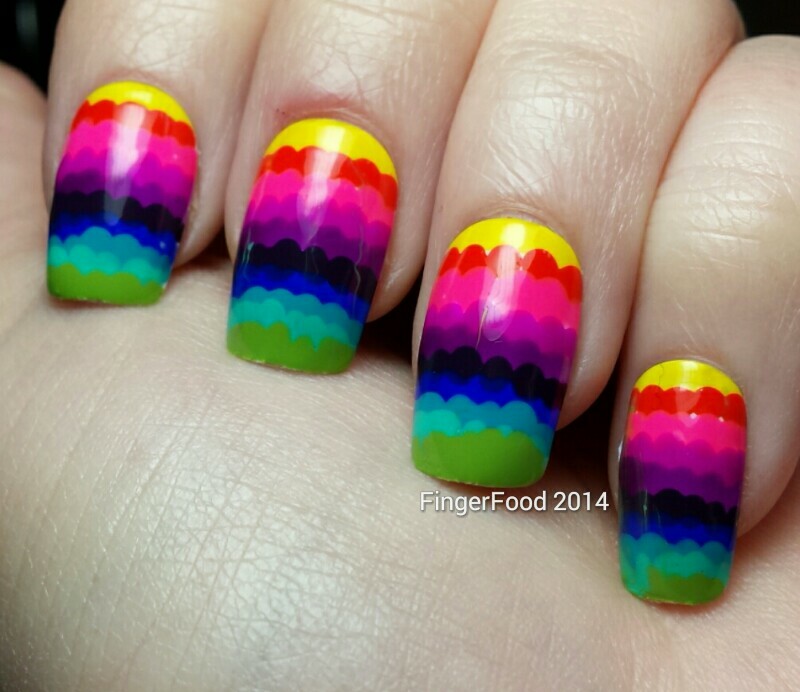 Its a simple technique and can be made more or less complicated by using a smaller or larger dotting tool. Maybe do something that involves stamping and freehand for the prompt, like taking a simple stamp design, and expanding on it somehow? 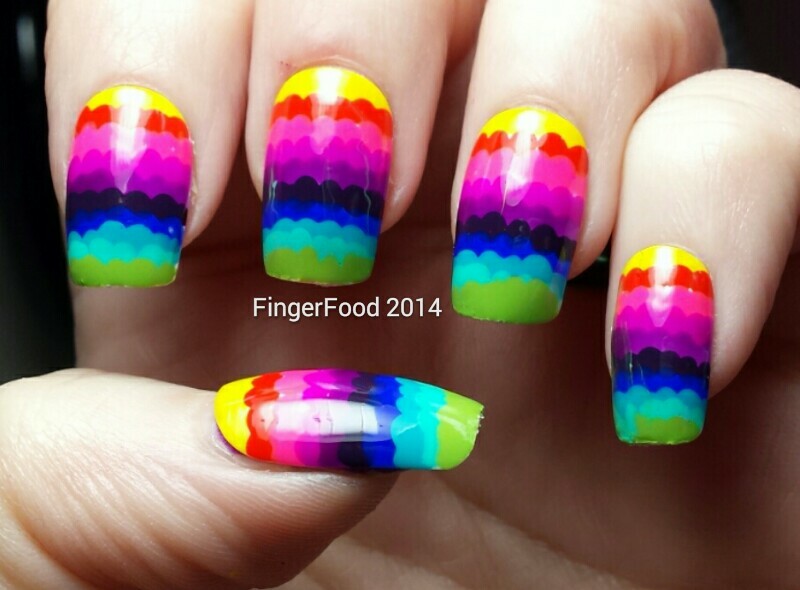 Or a skittle mani? 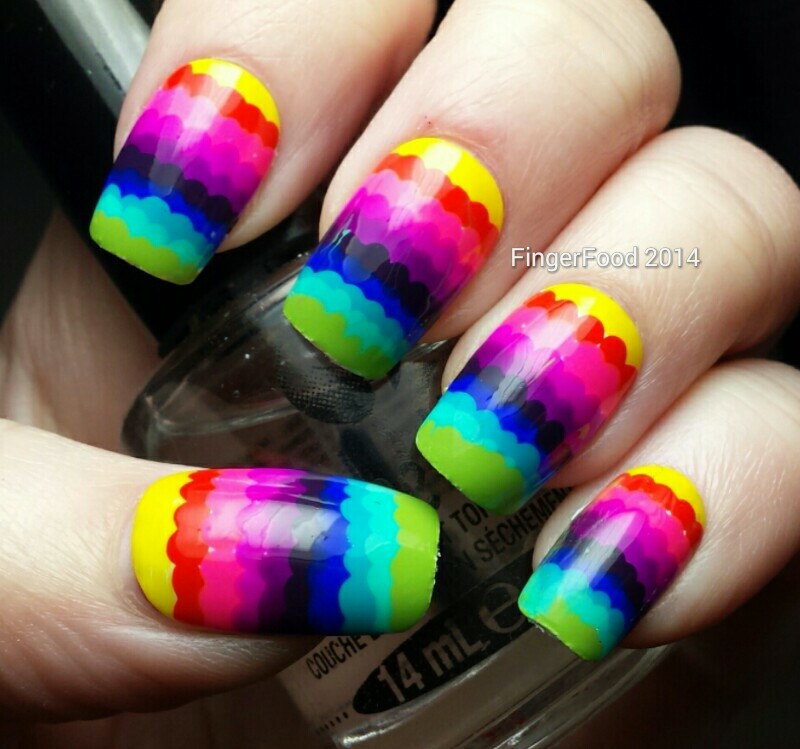 Absolutely LOVE this manicure! 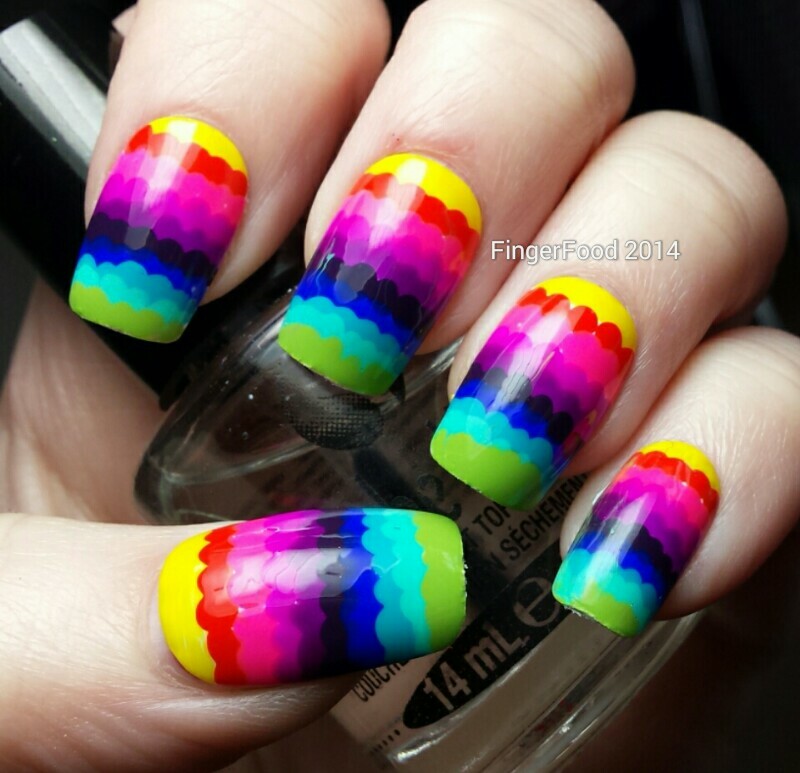 It's not often you get to see so many bold colours in one manicure, I love it!